If weight loss is your goal, you may have heard about the egg diet but are wondering if it actually works or if it's healthy for you. As with any weight loss plan, pros and cons exist for the egg diet. Knowing more about it will help you determine if this type of diet is right for you. 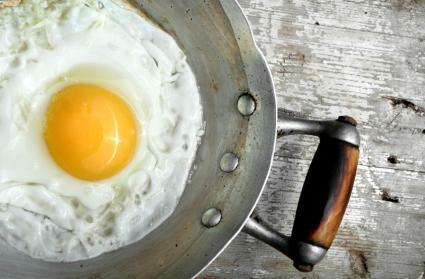 What Is the Egg Diet? The egg diet likely originated from Hillary Michael's Grapefruit and Egg diet, which claims to help you lose up to 28 pounds in two weeks. Several versions of the egg diet are published online, but all are low-calorie, low-carbohydrate, high-protein meal plans containing eggs daily -- and most focus on protein and low-carb veggies. Slimmingsolutions.com suggests following the egg diet for no more than one week at a time. Eat eggs and fruit or toast for breakfast. Eat eggs or lean protein (like chicken and fish) with low-carb veggies or fruit for lunch. Eat lean protein with low-carb veggies for dinner. Limit dietary fat and carbohydrates. The following are sample egg diet meal plans. Pros and cons exist when following the egg diet. Benefits are you'll likely lose weight quickly, feel full from getting plenty of protein and fiber, and meet many of your vitamin and mineral needs. However, the egg diet is very restrictive and shouldn't be followed for long periods. It severely limits whole grains, healthy fats, and certain nutrients like calcium from dairy foods. Furthermore, because this diet is a very low calorie plan, you really shouldn't follow it unless supervised by a doctor. The egg diet can help you shed pounds fast and boost your intake of high-quality protein, fruits, and veggies. However, because the diet is very low in calories, ask your doctor before following it. Or, modify the egg diet by making it less restrictive.